2018 is the year of the anime dancing game. That’s a sentence I never thought I’d write in my life. Despite the obvious fact that Persona 5 released last year in 2017, I’m looking forward to three Persona-related things over the next 12 months, and I couldn’t be more excited. 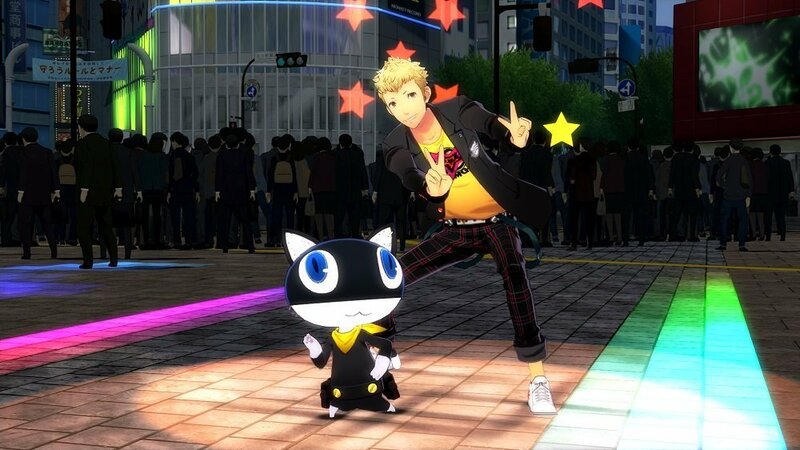 Persona 5: Dancing Star Night, Persona 3: Dancing Moon Night, and Persona 5: The Animation are all giving us more time with some of the most colorful, eccentric collection of characters in video games, and that’s never a bad thing (even if we do have to witness Ryuji’s attempt at dancing). Although last year was arguably the year of the Yakuza (and my entry point into that insane franchise), 2018 looks set to remind me why I decided to dedicate well over 110 hours to the cast of Persona 5. Right now, the Persona 5 animated adaptation looks set to be a retelling of the main events of the game, and I honestly haven’t got a problem with that, especially if it allows people who don’t have 100 hours of their life to spare to get to know Ann, Ryuji, Morgana, Yusuke, and the other Phantom Thieves. Outside of the anime retelling of Persona 5, which will likely run over the course of 2018 beginning in April, I can’t wait to spend the rest of 2018 dancing away with the cast of Persona 3 and Persona 5—and it's not just because I can't dance if my life depended on it in real life. But what I can do is play dress up with some of my favorite characters of the past year. Yusuke dressed up as a fancy waiter? Sure. Morgana wearing an excessive crown? Why the hell not. Granted, you can play dress up with DLC costumes in Persona 5, but they can’t then dance around for hours on end in fancy new outfits. Aside from playing dress up and putting every Persona 5 character in the most extravagant outfits possible, I’m actually looking forward to getting to know Persona 3’s band of loveable rogues. In the middle of 2017, Persona 5 was my entry point to the franchise, and I knew there was a whole lot of history for this franchise that I wasn’t privy to right from the jump, not least because Persona 5’s intro sequence features a short, commemorative ‘25th anniversary’ screen. Of course, I could always go back and pick up a PlayStation 3 for the first time, and give both Persona 3 and Persona 4 a go, but there’s no way I could ever dedicate the necessary time to both previous titles like I was able to with Persona 5. So, although Persona 3: Dancing Moon Night actually lacks a story mode like Persona 4: Dancing All Night had, I’ll still be able to interact with the weird and wonderful cast of characters that Persona 3 features. It’s something I’m eagerly looking forward to, not just because I’ll now be able to know which characters my colleague Caty McCarthy is referring to every time she references Persona 3 (her favorite in the series). There’s also the small fact that I’ve never actually played a Persona rhythm game before. 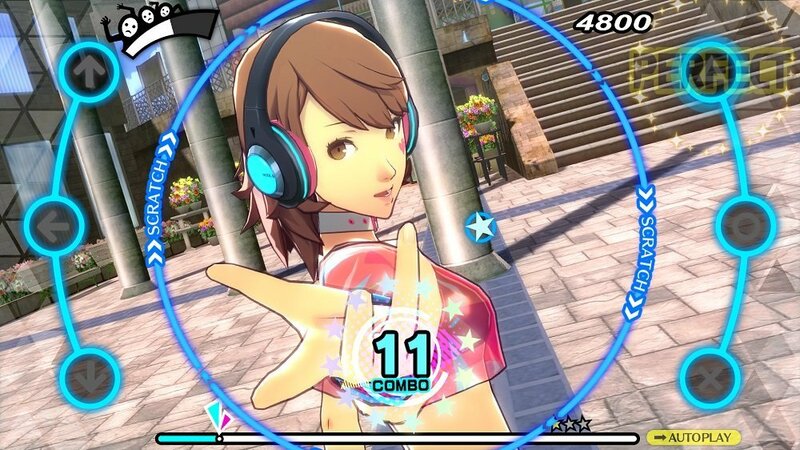 Persona 4: Dancing All Night comes bundled in a pricey special edition with the other two games (and let’s be honest, I’ll be purchasing it no matter the cost), so I’ll basically be working my way through three anime dancing games for the rest of 2018. But the characters of Persona 3 (and probably 4) aren’t the only thing that I’m excited about experiencing for the first time. You can’t talk about a Persona game without talking about the incredible scores from composer Shoji Meguro, and the soundtrack to Persona 5 has stuck with me ever since I first played the game. Whether it’s "Rivers in the Desert," "Blooming Villain," or "Beneath the Mask," Persona 5’s soundtrack is always able to completely transform the mood I’m in, no matter where I am. Casting a brief glance over Meguro’s work that I’m unfamiliar with, the scores of Persona 3 and Persona 5 represent games that share familiar themes, while also being incredibly tonally distinct. Persona 3’s score is generally more grumbling and synth-heavy, while Persona 5’s score is somewhat more upbeat and rapid, and the score of the former is something I’m looking forward to becoming more accustomed with on the release of Dancing Moon Night. The year of Yakuza was mentioned previously, and two of my favorite parts from Yakuza 0 have to be hitting the disco club and taking on karaoke. These sections of the game are challenging, refreshing, and downright stupid, which is what makes them so unique and memorable. Having protagonist Kiryu take a break from beating people senseless with motorbikes to let loose on the dancefloor, all with a straight face, is something special to behold, and Dancing Star Night seems to present the same opportunity of big, dumb fun for the cast of Persona 5. It’s somewhat strange to admit that in the same year as God of War, Red Dead Redemption 2, Spider-Man, and more that I’ll be constantly playing a Persona dancing game, but then that only proves how much the cast of Persona 5 resonated with me. Now, how about a Persona 5 port for the Nintendo Switch? Tagged with Analyses,	persona,	persona 3,	Persona 4: Dancing All Night.